Assuming thieves doesn’t already have any preexisting knowledge about valuables in your house, they’re going to be looking for targets of opportunity. How does your house compare to your neighbors? Is it the nicest house in your neighborhood, average, or on the lower end? Does it look like breaking into it would bring a good haul? If you have more signs of wealth than your neighbors, that’s something to think about. How secure is your house compared to your neighbors? Would it be easier or harder to break in than your neighbors’ houses? Do you have obvious security measures? Does it look well maintained, or like there might be an easy entry point? The majority of burglars prefer that no one is home. Anything you can do to increase the time you’re at home will reduce your risks. There are many reasons you leave the house for fun that aren’t worth giving up. But there are also plenty of errands that you’d never miss. There are dozens of chores that you can do online or automate. Bill payment can be done online, so you don’t need to leave for stamps, envelopes, or checks. Stamps can be bought online at sites like Stamps.com. Banking can be done online. Many banks now offer a mobile deposit app where you take pictures of your signed checks with your phone. (Be aware, for alleged “security reasons”, bank apps often require permissions to access your entire phone, contacts, apps, and files. To me this is the opposite of “security”.) Alternatively, you can also get pre-addressed deposit by mail envelopes from many banks, or print them out yourself. A friend of mine runs a home dry cleaning business where his customers hang clothes in a bag on their door every Wednesday and he drops them off the next week. Telecommuting or working from home may be an option for you. If you work out at a gym, you can probably find some used workout gear on an online classifieds site like Craigslist.org or maybe on a free item classifieds site like FreeCycle.org. The cost may be less than your annual membership. You can work out at home and save the commute time. You might even be able to do it more often. If you usually go to the bar after work, instead invite friends over for a BBQ, to watch the game, have a party, or start a poker night instead. If you’ve never used Craigslist, I recommend it. Craigslist is just an online classifieds like the ones in a newspaper. With it I’ve found all but one of my apartments in three different states, both my motorcycles, a refrigerator, electronics, speaker stands, a wall mirror, and various other things. There are a few people trying to scam someone but this is no different from any other classifieds, yard sale, etc.. If you have flexibility of when you can be home, use it to your advantage. The most likely time for burglaries is between 10 AM and 3 PM. If you work from home and usually go to the gym between 10 AM and noon, you could go from 8 AM to 10 AM. In addition to times you’re home, a thief is less likely to burglarize your house when your immediate neighbors are home. During times of day when your neighbors are usually away, schedule things so you can be home. Making it look like you’re home will reduce the risk of theft too. How well it works depends on your circumstances and tactics. Your house is not likely to be “staked out” long enough for someone to tell that you’re faking being home, unless they have preexisting knowledge about your valuables. But, a potential thief may be commuting to work or another place a couple times a day, driving or walking by your house each time. This is more likely if you live on a main road. The first step to pretending you’re home is to make sure thieves can’t verify that you’re not home. That means drawing the blinds or putting sheer curtains up so people can’t see in the windows. Another option is to use a security window film with tint or other coating for privacy. Also, make sure your garage door is shut, or a vehicle is in the driveway, or it’s going to be harder to convince someone that you’re home. Having lights on, audible and visible activity, and cars in the driveways of you and your neighbors all reduce your risk of burglary. Light timers can help your house look occupied, but they’re pretty common now and most homes are burglarized during the day anyway. You could set your TV or radio timer to turn on and off at certain times during the day to make someone think you’re home. This should work better than light timers alone. If you’re not home, make sure to cover up any signs that you’re gone. Close your garage door so people can’t tell there’s no car in there. If you don’t close it because you don’t have a garage door opener, get one, it’s cheaper than a gun safe. When you’re away on vacation and your mother is house-sitting for you the whole week, feel free to post all the pictures on Instagram that you want. If your home is going to be empty the whole time you’re gone, it’s best to just enjoy your vacation and take a break from the internet. You can put up the pictures on social media when you get home. You can have the post office hold your mail for you while you’re gone for 3 to 30 days for free. Make sure you hold your newspaper and other deliveries too, or have your neighbors get them. Have someone house sit. If you have pets, you have to have someone come by anyway. Why not have them stay for a few days while you’re gone. You could try a home exchange and have someone watching your house for you while you stay for free at their house. Make sure your guns are secured while you’re not home of course. AirBnB is a popular person-to-person rental site I’ve used many times traveling, and even in between apartments. You can use it to rent out your place while you’re gone, and make some extra money. Again, make sure your guns are secured while you’re not home. Having a vehicle in the driveway will deter burglars. 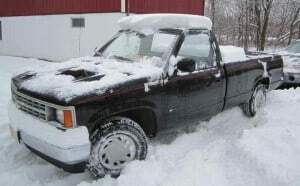 I had an old truck (picture below) which I loaned to my mother a few times for that purpose, once for 8 months straight. None of her recent burglaries happened when my truck was in the driveway, even though she only moved it around once a month. 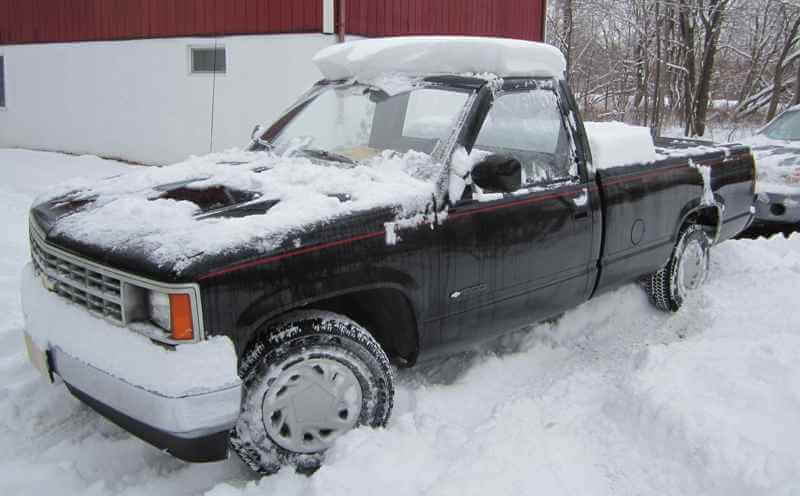 If you know someone with an extra vehicle, ask if they’ll park it in your driveway. Want to look like you’re home and make some extra money at the same time? If parking is a problem in your area, you can rent a space in your driveway. Some websites allow you to rent out your driveway, so that it looks like you’re home even when you’re not. It’s a curve ball for those who came here looking for a gun safe, but buying a vehicle can probably keep your guns safer, and be cheaper, than a gun safe. A thief shouldn’t even know that you have a gun safe until they’ve already broken in, but the vehicle will actually deter break-ins. Maybe you commute a long distance and are spending a lot of money on gas. Buying a cheap “beater” car that gets good gas mileage can save you gas money and keep your home safe at the same time. If you live next to dirt trails and you’ve always wanted a mudder jeep to go 4 wheeling, why not get one and park it in your driveway to deter thieves. Been thinking about a bug out truck? Kill two birds with one stone. Preppers will appreciate that the gas tank(s) also doubles as inconspicuous emergency gas storage. With a gas siphon or transfer pump you can top off a generator over and over, or fill up other vehicles. Make sure to treat your gas (see below) so it’s not stale when you need it. Best $500 I ever spent. Sure it didn’t stop or go or turn very well, but it did keep thieves out of the house. I bought “MudDuck”, the truck I loaned my mother, from a former coworker for $500. It had distributor problems, no seat upholstery, flaky windshield wiper controls, and a bad idler arm when I bought it. After I fixed them it was the best $500 I ever spent! Because it was so cheap I didn’t care about the paint, the interior, the rust holes, or who I let work on it or borrow it. A BakFlip folding bed cover and Pop & Lock remote tailgate lockgave me a huge locking space in the bed. It gave me plenty of room for tailgating supplies, shooting gear, and moving. Unfortunately a country road covered in black ice sent MudDuck into a telephone pole. The damage wasn’t terrible but a new bed cost more than the truck was worth. In the long run, keeping a vehicle on the road, insured, registered, and inspected is going to cost more than a gun safe. But the car only has to look like it leaves your driveway to be effective. If the car or truck never goes on public roads, it probably doesn’t need the registration, inspection, or insurance. Keep the old tags on it (provided that’s legal where you live) and move it around your driveway periodically. Put some Sta-Bil fuel stabilizer in the gas tank and you’ll have no problem starting it up even if it sits many months between starts. You can disconnect one terminal of the battery or install a disconnect switch to keep the battery charged in between moves, or just jump it every time. A discretely located Battery Tender or other trickle charger will keep the battery healthy. In over a decade, Sta-Bil and a Battery Tender have never let me down storing cars, trucks, motorcycles, generators, snowblowers, etc. The beater really doesn’t even need an engine as long as it looks like it’s driveable and has air in the tires. You can just push it around in your driveway really, but the brakes will rust enough to make pushing it a chore. A dog is somewhat of a substitute for someone being home and statistically reduces the odds of a burglary. It’s such a big responsibility that it would be silly to get a dog just to protect your guns. But if you’ve been thinking about getting one, security is as good a reason as any. Adopting a dog for $100 is much cheaper than a gun safe, even including a couple years’ worth of food. 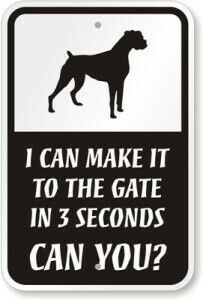 Beware of Dog Sign on your gate, cheaper than a real dog. If you don’t want the commitment of a dog, pretend you have one. Beware of Dog signs are old standbys. Since they’re common though, they might get overlooked or ignored. There are more eye-catching options like the one on the right, which would draw attention posted on your gates and corners of your fence. To sell the imaginary dog better, consider other indications like invisible fence markers and/or a real dog house. Maybe you have a friend who is giving one away, or an outside (attack) cat that needs a home anyway. Make burglars think your small barking dog isn’t your only dog with a sign like this. If you do have a menacing dog already, you probably have a sign. If your dog is not so intimidating, pretend it’s meaner than it is. Similar signs are made for multiple dogs. A little dog’s yap-py bark may not scare anyone. But a real barking dog would lend credibility to a dog warning sign, especially if the sign warns of more than one dog. The same tactic might be employed by adding a large dog house next to your small dog’s house. Or, build your Jack Russell Terrier a dog house sized for a large Doberman, with a menacing name like “Crusher” above the door. You can install fake security cameras for a fraction of the cost of real ones. Or you might get real but broken or old security cameras that an electrician friend of yours is upgrading and throwing out. Install fake cameras in prominent locations where they’ll be seen, and where they have a good view of doors and other access points. For decoy cameras to work as a deterrent, they must be realistically installed. Make sure not to install them in a way that is obviously fake. If you put a camera in a tree with no wires going to it, it may not fool anyone. 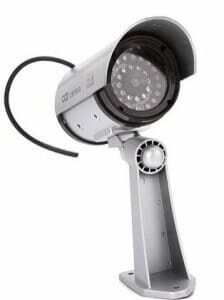 There are wireless security cameras, but all cameras need power. Solar powered security cameras exist, but have large solar panels and batteries mounted near them. A camera surveillance sign next to your fake camera can help draw attention to it. I was visiting a friend when I recognized the fake camera above and sign on a telephone pole at the end of her quiet dead-end city side-street. She said there used to be a problem with teens drinking and breaking bottles there on the weekends. Her neighbor put up the camera and the sign. Since then the teens had apparently found another place to hang out. A fake or non-functional surveillance camera may help you deter thieves, but it obviously isn’t going to help you by making a video of a break in. That’s fine, because prominent cameras work better as a deterrent, but hidden cameras work better at catching thieves. You can employ fake cameras as a decoy, and hide your real cameras. Career thieves may destroy or obscure the fake cameras and not notice the real ones. Then they’ll carry out their crime thinking they’re safe, only to have their picture on the evening news. Another deterrent is a monitored alarm system. Statistically, homes with alarm systems are broken into less often, but an alarm can only be a deterrent if the thief knows you have one before he breaks in. 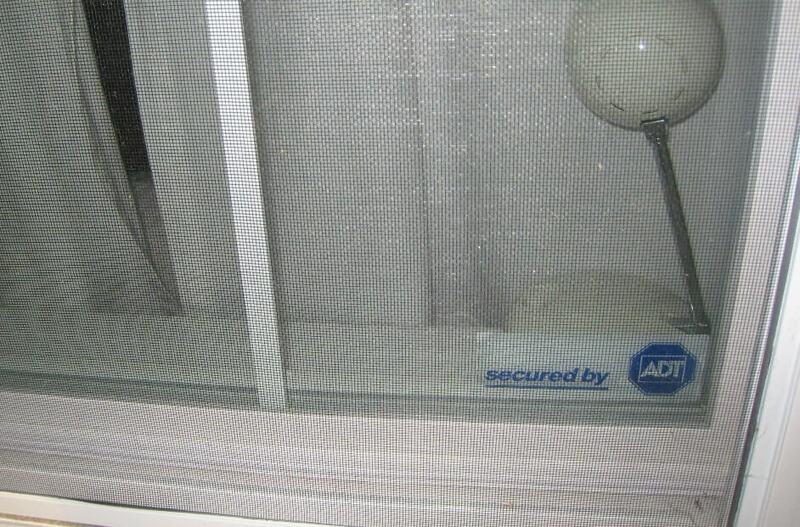 If you do have an alarm system, post signs to make that obvious to anyone who looks at your house. 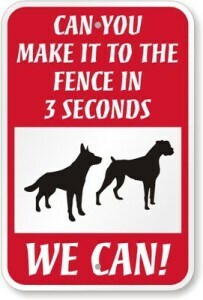 Signs are best posted on sides that a burglar may approach from, like a park or woods next to your property. Also put stickers on all doors and windows that a burglar is likely to use to break in. Criminals know that many homeowners use fake alarm signs and stickers. 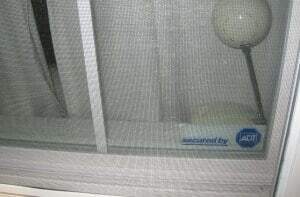 If you’re going to post fake alarm signs, make sure they’re from a nationally recognized company that has monitoring. Thieves also know that many houses which once paid for monitored alarm service have stopped paying for monitoring, or don’t always turn the alarm on when they leave. So, you may want to mount a fake alarm keypad near the door too. Most burglaries happen during the day, but if your house is poorly lit and it’s obvious when you’re not home, that may not be the case for you. Flood lights with motion detectors are an additional deterrent because the lights turning on attract attention. Make sure the sensitivity of the motion detectors isn’t set so low that animals turn it on. It should be set so that only people can set it off. Many people adjust the lights so that they shine too far away from the house, which actually makes it easier to hide in the shadows next to the house. The lights should illuminate any bushes, trees, and hiding spots next to your house. Leaving notes for family members or service people on the front or back doors lets burglars know that you’re not home. If you haven’t talked to your neighbors in a while, maybe bring them a bottle of wine or a 6 pack and have a chat with them. Tell them you’ve been concerned about security and ask them if they’ve seen any strange people or cars in the neighborhood. That conversation may make them more likely to come over and tell you when they notice something out of the ordinary. Even if you can’t hide your gun safe, you could pretend it’s better than it really is. Safes last a long time but paint and trim change often, so why not exploit the confusion? Many companies sell optional decal kits for their gun safes and safes. If someone is in your house or sees it through the window (really shouldn’t be visible from a window), most likely they’ll just read the name off the front. Later they might use the name to look it up on the internet or describe it to an accomplice. An imposing brand name logo from a substantial safe company could hypothetically act as a deterrent on your cheap gun safe. 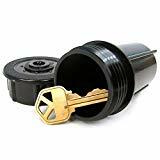 An experienced safe cracker type of thief will be able to tell what kind of safe it is by the size and arrangement of the lock and locking handle. But this type of thief would get in your safe no matter what you do. Force a thief to break something to get in. 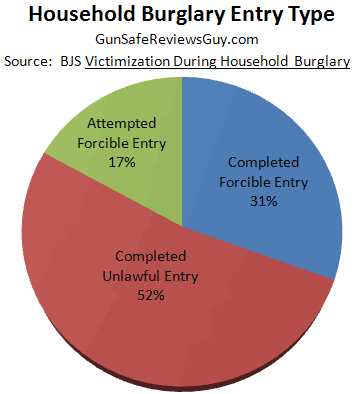 Over half of burglars don’t break anything to commit their crimes (“Completed Unlawful Entry”in the chart). Forcing thieves to break something to get into your house will statistically reduce the odds of you being burglarized. Even if a thief is more than willing to break in to your house, making him do it will help you. In cases where a burglar must force his way into a house, he is unable to do so, gives up, or is interrupted over a third of the time (“Attempted Forcible Entry” in the plot). So just by forcing a thief to break something to get into your house, you quasi-statistically reduce your burglary risk by about 69%! And if you keep him out of your home the first time, you reduce your repeat risk. Once burglarized, a house is 4X more likely to be hit again. An added benefit to making a thief break in is this is that the crime won’t be classified as Unlawful Entry by the police, in case your state has laws requiring the locking up of firearms, or a litigious history against gun owners. Doors are the favorite entry method of burglars, so locking them is the first step. This also goes for interior doors in attached garages, sliding glass doors, Bilco-style basement doors, and even storm or screen doors. If you like leaving your doors open in the summer, another option is a security storm door. These are really storm doors with steel screens and/or bars in them. High end decorative models have laser cut patterns which ensure they won’t be mistaken for jail cell doors. These doors open outward too, so they can’t be kicked in. When your windows are shut, lock them. Factory Pella window sash ventilation stops. One of the reasons that more burglaries happen in summer is that windows are more commonly open. In the North, colder weather means plate glass storm windows are closed, which are harder to open without breaking. You can still leave your windows open when you leave and have them locked. 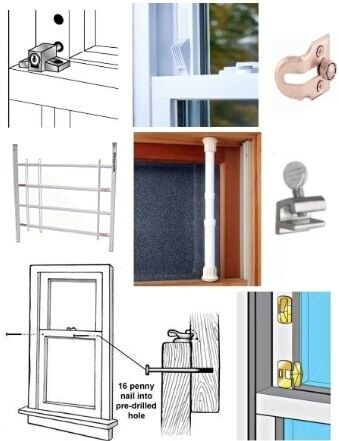 Window ventilation locks are available many window types so that you can keep your windows open a bit (usually 4″), but they can’t be opened any further. These locks come standard on a variety of modern windows. If your windows already have them you can just pop them out and use them. If not, many modern windows are already cut for them but have the holes covered by blank plates. 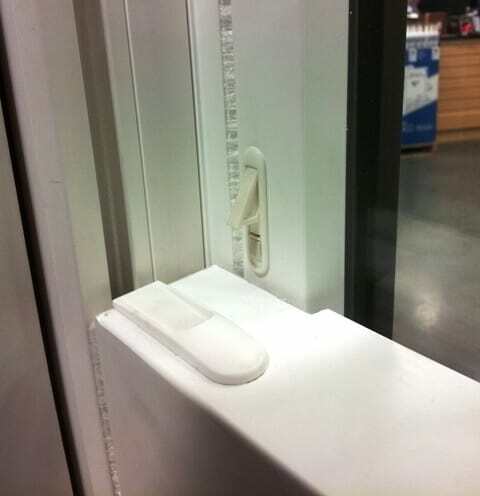 In this case, buy the appropriate sash vent locks for your windows, pop off the blank cover, and install them. If your windows don’t have them already, there are dozens of different types of aftermarket ventilation locks you can get for your windows. Some of the different styles include toggling child stops, slide-out stops, threaded pins, window channel stops, and simple pins. You can even just drill a sloped hole through your sashes and use a nail as a pin (see right). Horizontal slider windows can use window track locks which clamp to the window channel and block it. Getting into a house without breaking in often requires climbing. Climbing into high first floor windows, or a second floor window, will require something to stand on. All your ladders should be locked up. Make sure wood piles, grills, chairs, and anything near your house that someone could stand on aren’t in a place where they’re easy to drag to a low roof or window. One easy way to make it much harder to get into your windows, especially if you have glass storm windows, is to open them differently. In the warmer months most people open the bottom half of the window, moving the screen down and the bottom storm window up. The screen and storm windows have beveled latches which generally block them from sliding down but not from sliding up. So it is relatively easy to slide a storm window or screen from the lower position up, but not vice versa. Opening the top half of the window instead of the bottom will make it much harder to climb inside. It will also actually keep your house cooler by letting the hot air near your ceiling out. With the screen up and both storm windows down, someone will have to break the screen (because the latches prevent sliding the screen down) and climb in the top much higher off the ground. Or they’ll have to break two plates of storm window glass to open the window from the bottom. In 7% of Unlawful Entries, the burglars had a key. If you’ve never changed the locks since moving into your house, or if you’ve recently lost your keys, change your locks. This can be an opportunity to key alike all the locks in your house too, eliminating unnecessary separate front and back door keys. A locksmith can change your locks, upgrade some to match the others, and key them all alike. Or, you can upgrade them all at once with a keyed alike set. Instead of putting your spare key under the doormat, in your wall-mounted mailbox, or other common location, think of a better more permanent location. Maybe put it in a 35 mm film canister and bury it in the edge of your flower garden. Or install an empty exterior electrical junction box and put it inside so that you can only get it with a standard screwdriver. There are also plenty of cheap options you can buy from fake sprinkler heads to fake rocks. If you have a combination keypad on your garage door, change the code periodically. If you’ve had the same code for years, it’s likely that more people know it than you think. Your child’s friends may have seen them type it in so many times they know it too. One of the safest places for a firearm is on your person. You may not have a concealed carry permit for outside of your home, but in almost all states you can carry a loaded firearm on your person inside your home. You’ll know where it is at all times, and it will be ready immediately when you go out to the garage at night or open the door. It will also be ready in the case of a home invasion. If criminals decide that they’ll just bust in and force you to open your gun safe at gun point, they’ll have a surprise of their own. There are an infinite array of holsters for concealed and open carry these days. Bikini swimsuit beach carry is even an option, so figuring out a way to carry comfortably at home should be a piece of cake. I have a variety of inside the waistband carry holsters. 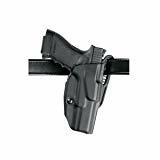 However, for around the house and checking on bumps in the night, I keep outside the waistband paddle holsters in the quick-access safe with the guns in them. Open the safe, slip the paddle in any waistband including boxers, and you have your hands free for a flashlight and/or 911 call.